The grid supports editing that is enabled by default. In this demo, various supported editor types are demonstrated as well as setting additional properties through various helper events that are triggered when editing. By default the editor type is an edit that supports lookup and autocompletion, as well as validation with several edit types. 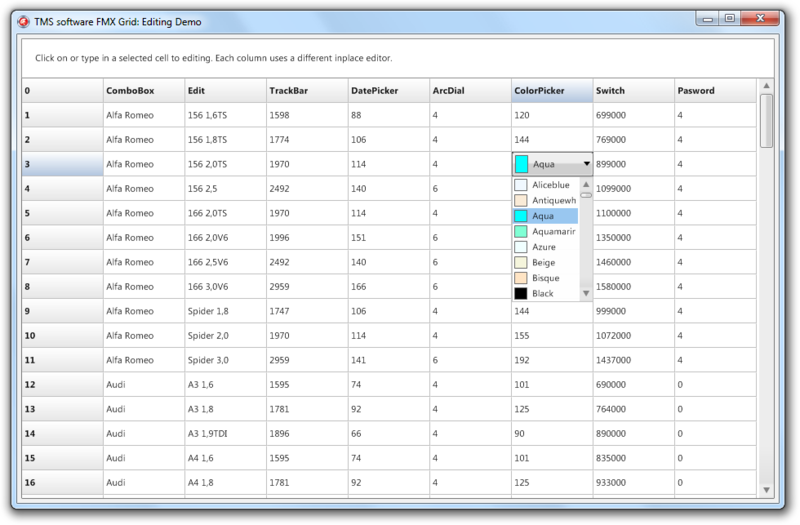 To change the editor type the demo implements the OnGetCellEditorType event.